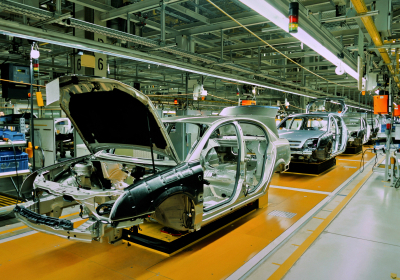 These days, JIT supply of final assembly is often regarded as a matter of course, especially in the automotive industry. The plenty of parts, modules and subassemblies required for building cars, on the other hand, make more inventory than the absolute minimum barely conceivable. The increasing delivery costs that go hand in hand with a frequent, small-lot supply must not be forgotten. So something like “just in time, from time to time” must have come to the mind of professors nils boysen and simon emde from friedrich-schiller- university of jena and professor dirk briskorn from the university of wuppertal when being presented with the following problem of a large german automobile producer. The OEM receives parts from all over the world. The lead-time for these distant suppliers is too long to enable a concerted JIT supply chain. The OEM built an additional distribution center (DC) to store parts intermediately from distant suppliers for the OEM’s nearby plants. The required parts are sorted and stored in transport containers. These containers need to be transported from the DC to the OEM plant by trucks that have a fixed capacity. In this setting, the OEM aims at a delivery schedule that trades off the benefits of JIT supply with the transportation costs of the trucks.